When most people think of Australia, they think of kangaroos, koalas, barbeques, the beach and the sun. What they don’t think about is snow. Certainly not in summer. But trust me, it’s possible. I’ve seeeeen it. As of today, it’s pretty much Australian winter. That brilliant time of the year when you can head up into the mountains, hoping there’s been some snowfall, and hit the slopes. It’s a ton of fun but even in winter there’s often the need for some fake snow to give it some depth. Granted, Mount Hotham has had 23cm of snow at the summit. Almost a foot of snow – not bad at all!Though my experience of summer snow takes place in Tasmania. In December. 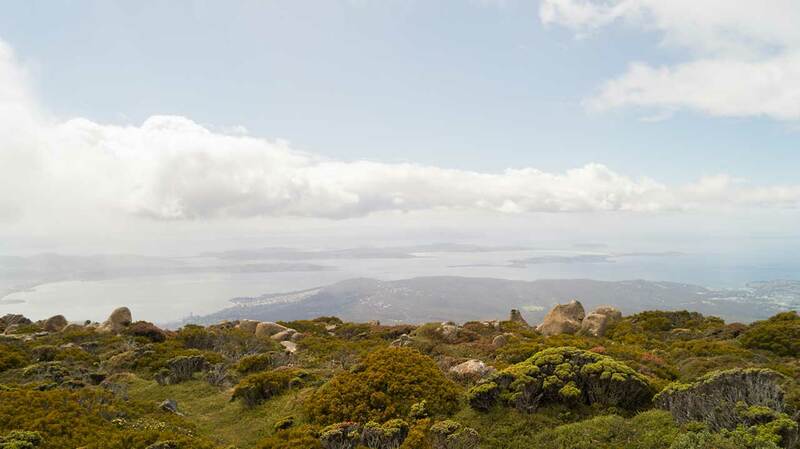 At the height of Aussie summer, ascending Mount Wellington which overlooks the Tassie capital; Hobart. 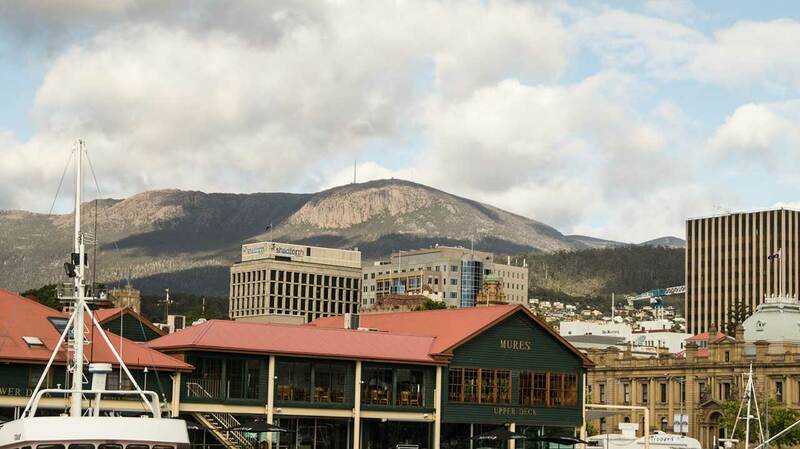 From Hobart you get a pretty close up view of Mount Wellington, and it was quite clear that the view from the top would be spectacular. We decided to drive up as far as we could, and then walk any further if we needed to – we didn’t, by the way. The road up the mountain takes you to the top where you can find a car parking and a lookout building just in case you need a break from the elements.As you’d expect with most mountains, the higher you go, the cooler it gets. Despite it being the middle of summer, and us starting the day in shorts and t-shirts, it soon cooled down as we approached the top. It didn’t take long for a change to jeans to become appropriate. Not long after we’d left the car and started checking out the views, the rain and snow decided to pay us a visit so we headed inside to wait for it to pass over. I never expected that I would go from wearing shorts in the heat to changing to weather the snow, and back again within the space of a few hours.As you can see it’s worth the short drive up to the summit. I’m not really sure how common it is to get snow in the middle of summer, but I’d assume its probably as likely as experiencing rain at Uluru. Might be that I’m just extremely lucky.Not that it matters too much – it didn’t take long for it to pass over so I could spend some time taking pictures and enjoying the view. Just remember, if you do go, make sure you take some warm clothing with you. You might not need it but it’s better to be safe than sorry! 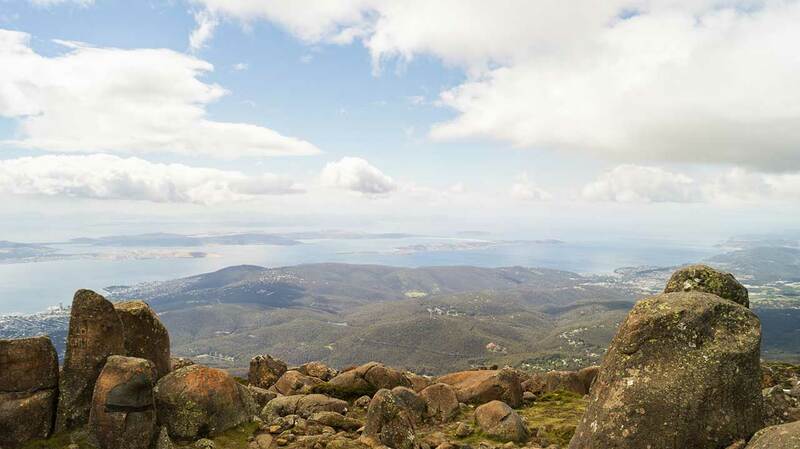 Feel free to share your pictures of Mount Wellington, with or without the snow!